Central City and Keystone City are known as the twin cities in the DC universe. Where they are physically in the US, how they got there, and their history is enough to be saved for an article on another day. 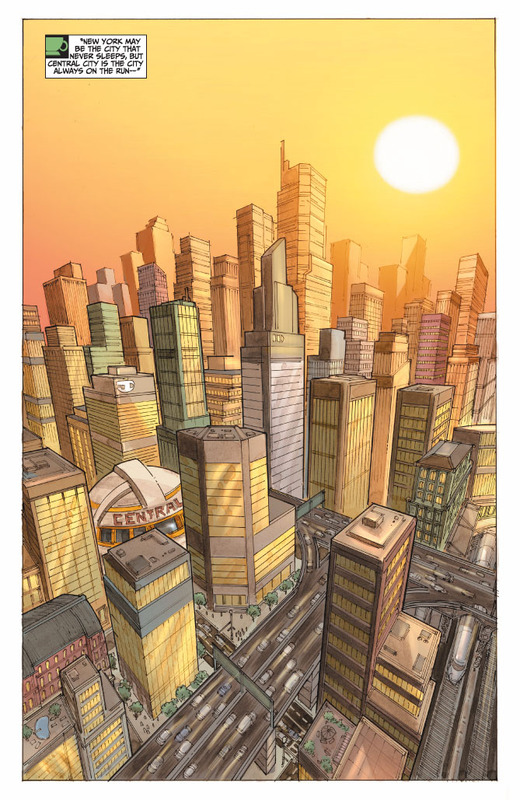 Many people prefer Marvel’s approach of using real cities in their books, but I like the DC method; especially when those cities are fleshed out. 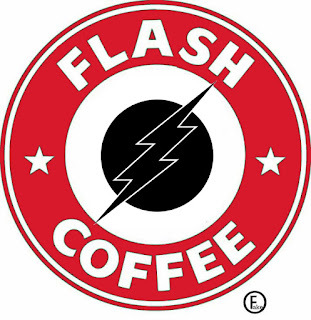 When Geoff Johns took over the Flash the first time he gave Keystone an identity that moved it from a generic superhero city to something that seemed real. Keystone became a blue collar town full of factories and people who loved their hockey team. I love Keystone, it made me feel like I was back in Detroit. 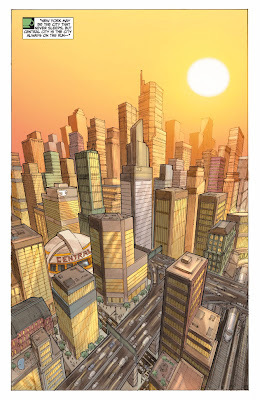 In the most current Flash relaunch Central City gets the make over. 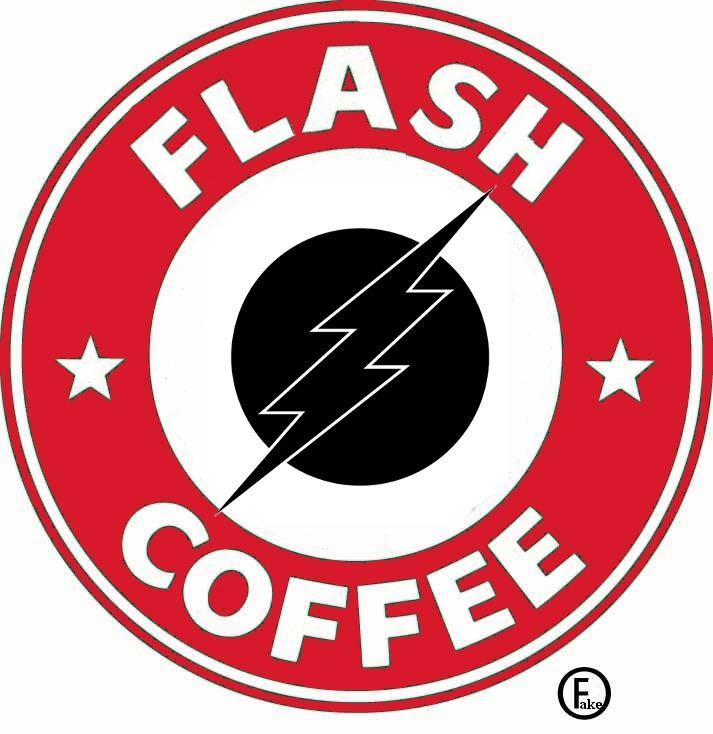 Quoting the first page, “New York may be the city that never sleeps, but Central City is the city always on the run.” It has become a city of people glued to their phones and their coffee cups. Coffee is suddenly like the blood of the city, the references are everywhere. Central City has become the Seattle of the mid-west. It’s a little jarring at first but I can accept it easily enough. Also in my mind the people of this new Central City probably look down a little on the people across the bridge in Keystone. I don’t think I’ve read that in the comics, but in my gut I know it’s true. Sounds great! I'd definitely buy it. And a mug with the logo, too!